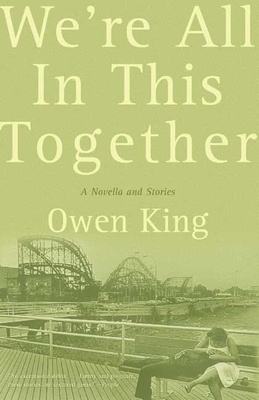 The stories in this collection, along with Owen King's brilliant title novella set in Maine after the 2000 election, carry the weight of real emotion and revelation and showcase the impressive versatility of a rising talent. An adolescent encounters a giant reptile in the unlikeliest of places, a rundown shopping mall; a baseball player in a fantastic 1930s Coney Island is assailed by the guilt of an illicit romance; a nineteenth-century itinerant dentist finds himself snowed in with a group of trappers for a long evening of primitive surgery and laughing gas reveries. The stories in this collection, along with King's brilliant title novella set in Maine after the 2000 election, carry the weight of real emotion and revelation and showcase the impressive versatility of a rising talent. Owen King grew up in Bangor, Maine. He is a graduate of Vassar College and holds an M.F.A. from Columbia University, and his stories have appeared in Book Magazine and the Bellingham Review. He currently resides in Brooklyn.